Please click the links below for either a brief review or a full listing of all 237 new laws that will take effect in Illinois beginning January 1, 2016. Several of the new laws affect our everyday lives. Others are targeted specifically to benefit children, veterans, and the elderly. 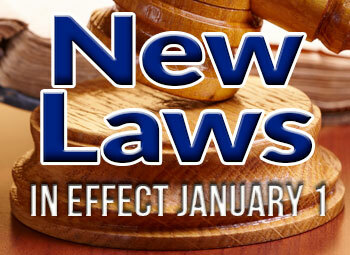 Here’s a quick look at some of the more notable laws taking effect. A full list of all 237 new laws can be found here.